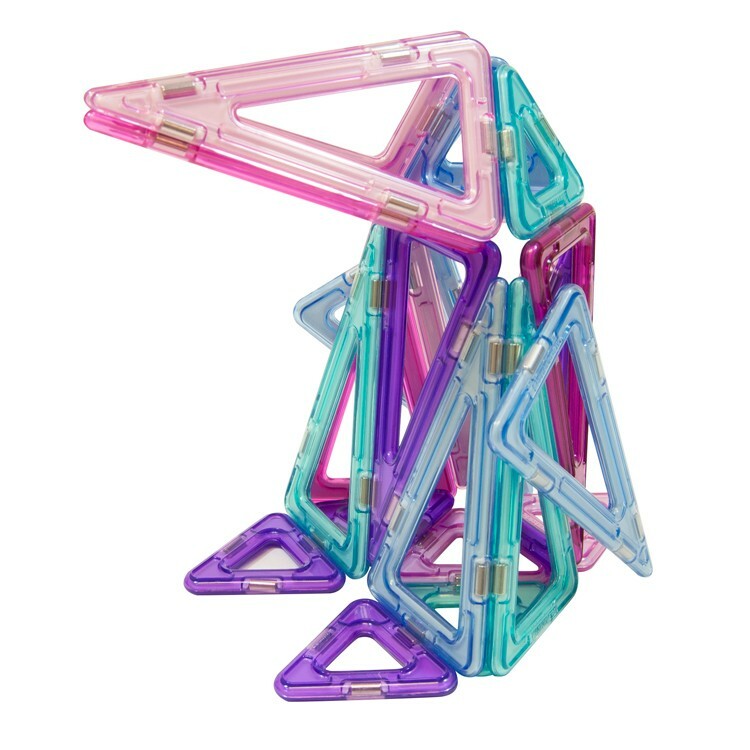 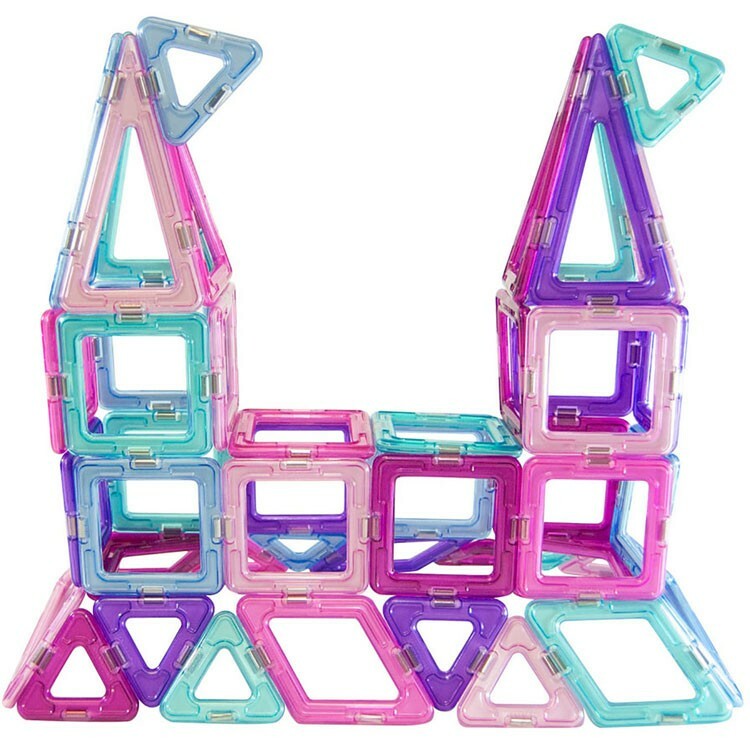 This pastel colors Magformers 62 pc construction toy really Inspires Design, engineering ideas, and building creativity! 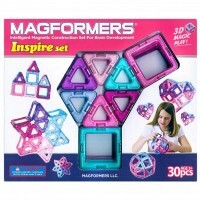 This magnetic building set by Magformers will certainly inspire girls by its pastel colors and whimsical shapes. 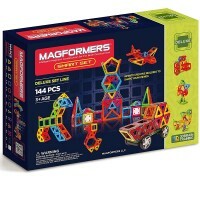 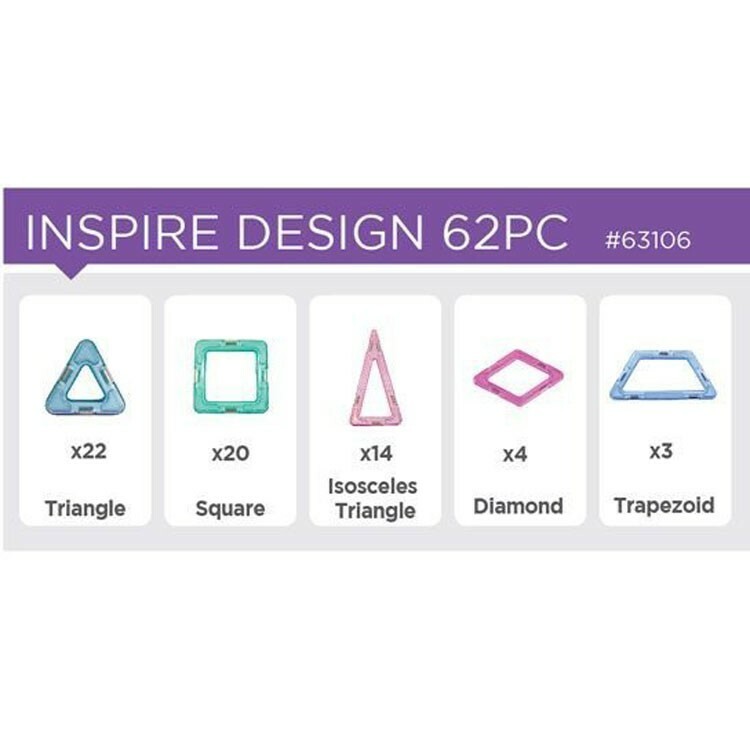 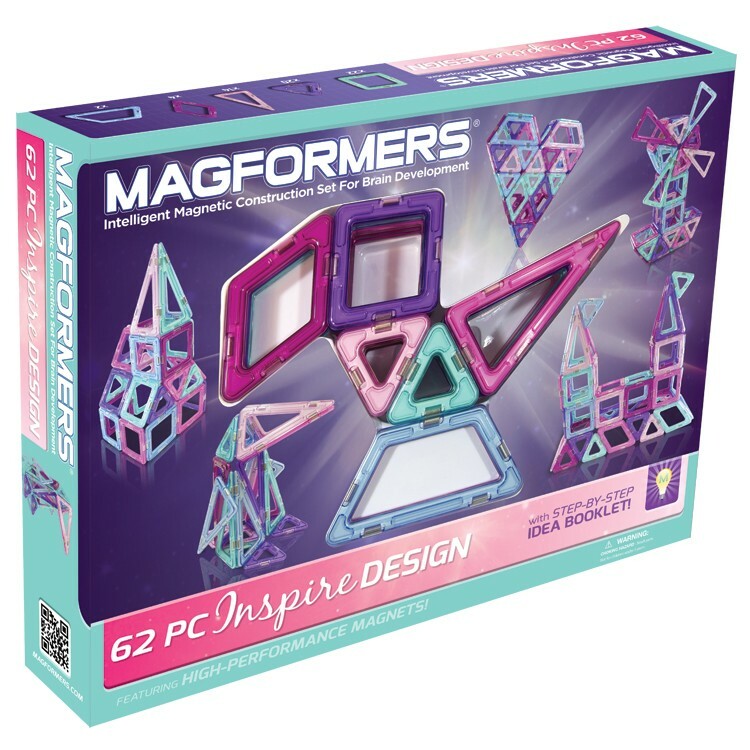 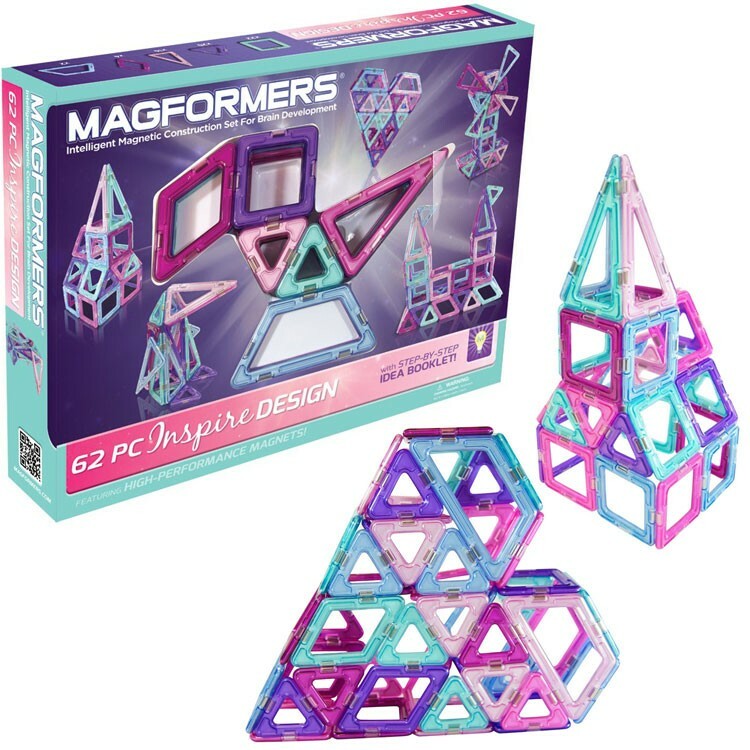 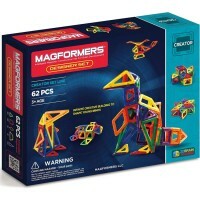 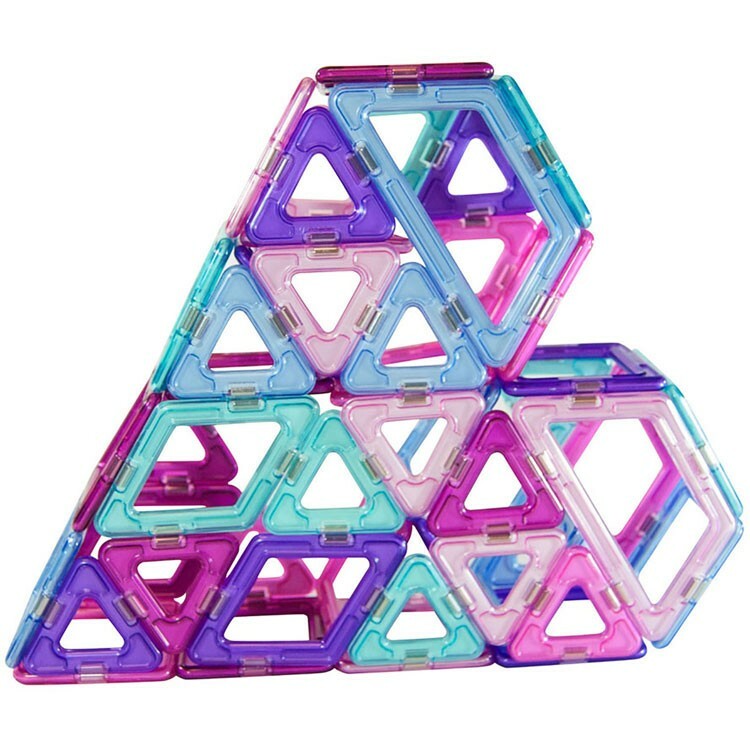 Magformers Inspire Design 62 pc Magnetic Building Set brings not only classic triangles and squares shapes, but isosceles triangles that add designers look to the magnetic structures. 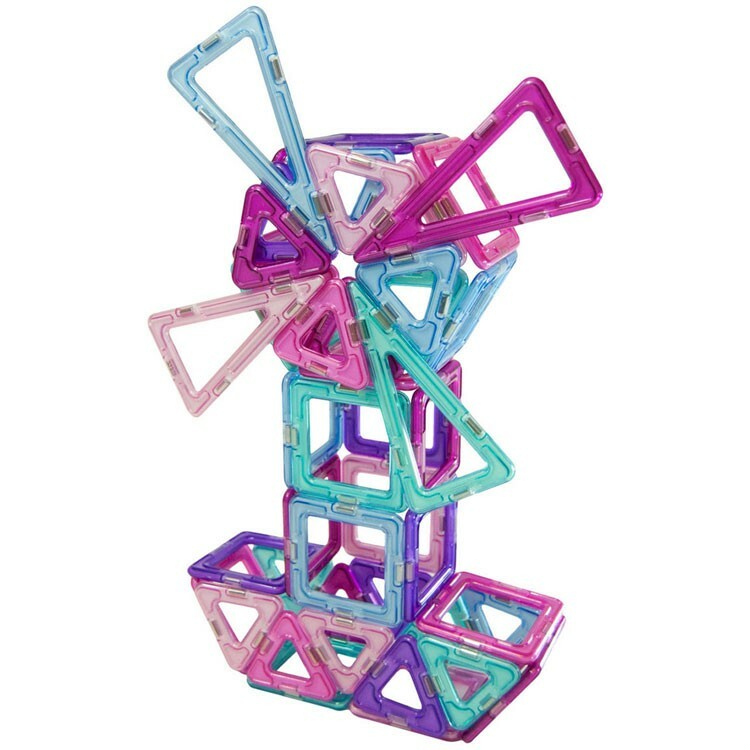 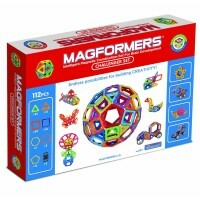 Made from the highest quality plastic, with special rotational technology, this magnetic construction toys will really inspire young builders to creative engineering. 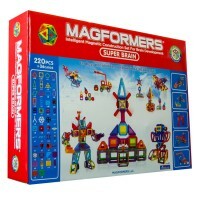 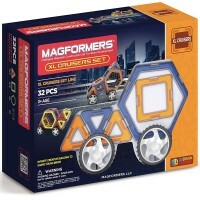 Magformers Inspire Design 62 pc Magnetic Building Set includes an instructions with some building ideas that children can follow. 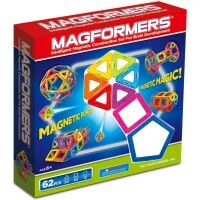 Or use your imagination and creativity to build your own magnetic shapes and structures. 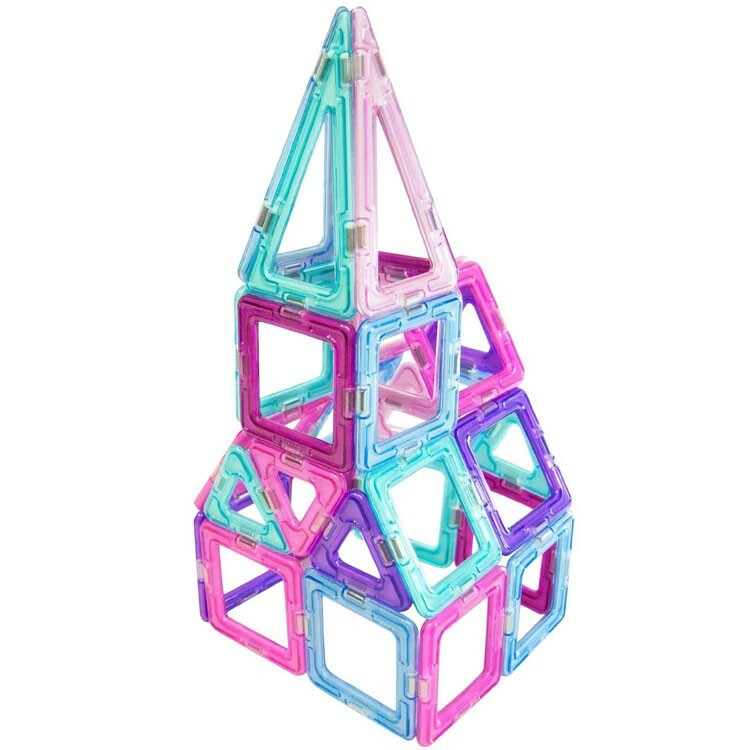 Endless construction possibilities are guaranteed with this super fun magnetic building toy from Educational Toys Planet. 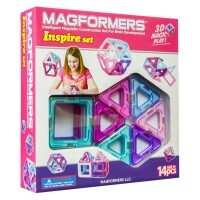 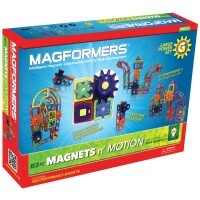 Dimensions of package 3" x 15" x 10"
Write your own review of Magformers Inspire Design 62 pc Magnetic Building Set.